Vincent Gigante was an Italian-American mobster who led the Genovese crime family of New York City from the early 1980s until 2005. Born in New York City on March 29th, 1928 he was known as ‘The Chin’ & ‘The Odd father’ & ‘The Enigma in the Bathrobe’ he was known to wonder the streets of the in a bathrobe an act that was deliberate to make people think he was insane; he checked into psychiatric hospitals 22 times. He was one of the strangest gangsters of the time, and was simply incapable of running a massive crime syndicate, this was due to the fact of his boxing career where it was stated he took one to many shots to the head. He was chosen by Capo Tommy Eboli to murder Genovese family boss Frank Costello, but messed up the hit. This mistake should have ended Gigante’s life, but he managed to rise to the position of advisor in the mid-1970s. After Genovese family boss Tony Salerno suffered a stroke in 1981 and took a six-month hiatus to recover, Gigante was appointed boss of the family, Salerno was still presented as the family boss during this time, but in the world of crime, Gigante was known to be. In 1992, Salerno was sent to prison and with now no one to hide behind, it was fully revealed that Gigante was the boss, with no one to hide behind, Gigante went back to his old tactics of faking insanity. This act worked until 1997 when Salvatore Gravano testified that Gigante was sane, he was convicted of murder conspiracy and swindling, he was sentenced to 12 years. In 2003. He admitted that he had been faking his mental problems for roughly three decades to avoid having to stand trial, therefore a further 3 years were added to his sentence. Gigante died on December 19, 2005, at the age of 77, at the United States Medical Center for Federal Prisoners in Springfield, Missouri, his passing was honored quietly, his brother, Rev. Louis Gigante, remarkably a retired catholic priest held a quiet mass for him and the funeral took place in the same neighborhood he wondered the streets in his bathrobe years earlier. 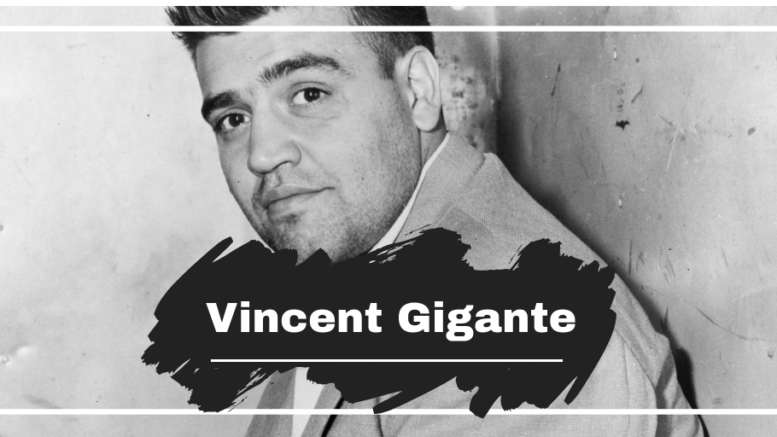 Take The Vincent Gigante Quiz!